Consuming milk for breakfast to lower blood glucose - Healthcare Asia Daily News | Asia's Leading News and Information Source on Healthcare and Medical Industry, Medical Technology, Healthcare Business and R&D, Healthcare Events. Online since 2010. : Healthcare Asia Daily News | Asia's Leading News and Information Source on Healthcare and Medical Industry, Medical Technology, Healthcare Business and R&D, Healthcare Events. Online since 2010. 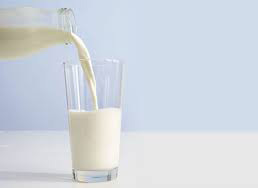 Milk consumed with breakfast cereal reduced postprandial blood glucose concentration compared with water, and high dairy protein concentration reduced postprandial blood glucose concentration compared with normal dairy protein concentration. Whether you pour a glass or have it with cereal, consuming milk for breakfast is the perfect energy boost your body needs to get you through the day. H. Douglas Goff, Ph.D., and the team of scientists from the Human Nutraceutical Research Unit at the University of Guelph, in collaboration with the University of Toronto, examined the effects of consuming high-protein milk for breakfast on blood glucose levels. Milk with an increased proportion of whey protein had a modest effect on pre-lunch blood glucose, achieving a greater decrease than that provided by regular milk. The full findings are present in the Journal of Dairy Science.